As you might be able to tell from the bottle of champagne, there was some celebrating the other night. Why? Because my novella Ghost in the Machine was the winner of the Prix Aurora Award for Short Fiction. ‘Sounds cool, but what’s an Aurora?’. An Aurora is one of Canada’s Top SF&F literary awards. And I won it…did I mention that? Oh yes, I did (and I will continue to mention it). I’m absolutely thrilled, and excited, and thrilled some more. I couldn’t attend the awards banquet in Vancouver so I found out via text from Sherry Peters. A trip to the LCBO was in order to purchase some Champagne. Brut, Extra Brut? Hulk-Smash Brut? Dunno…just give me a bottle that I can drink. Ghost in the Machine appeared in the 2013 Puzzle Box published by Edge SF&F. It was a collaborative project comprising four novellas (written by Eileen Bell, Billie Milholland, and Randy McCharles). Plus, Eileen and I wrote a fifth framing story that semi-connected the novellas. The Prix Aurora Awards are given out annually to honour the best Canadian science fiction and fantasy literary works, artwork, and fan activities from the previous year. The event is organized by Canvention, and the awards are given out by the Canadian Science Fiction and Fantasy Association (CSFFA). Canvention alternates between eastern and western Canadian conventions where they host the Aurora awards ceremony and the society’s annual general meeting. Ghost in the Machine: Caught in the middle of a murderous love triangle, Sam discovers a mysterious box that might just be able to set everything right again. But Sam begins to question who exactly is the villain in this tale of knights, harpies, talking snakes, daemons, and lost love. 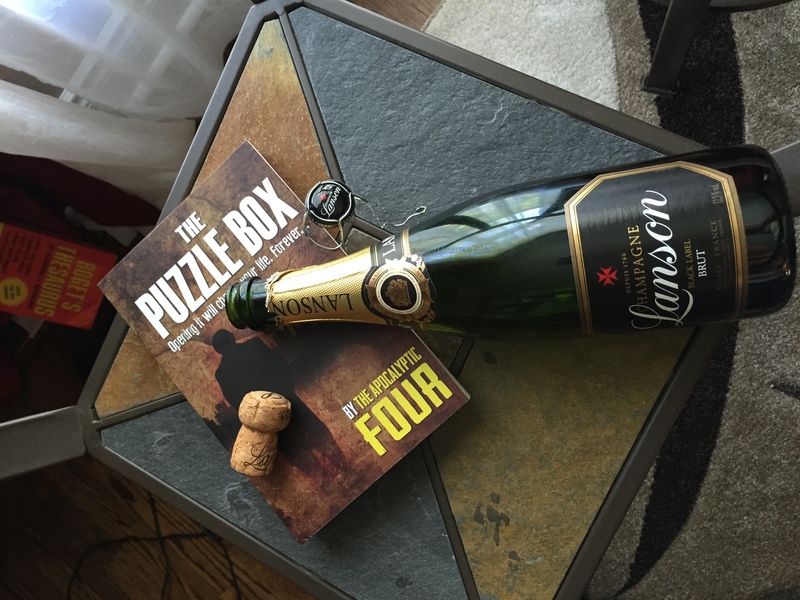 The Puzzle Box: It is a box that you can hold in the palm of your hand – but the contents will change your life forever.